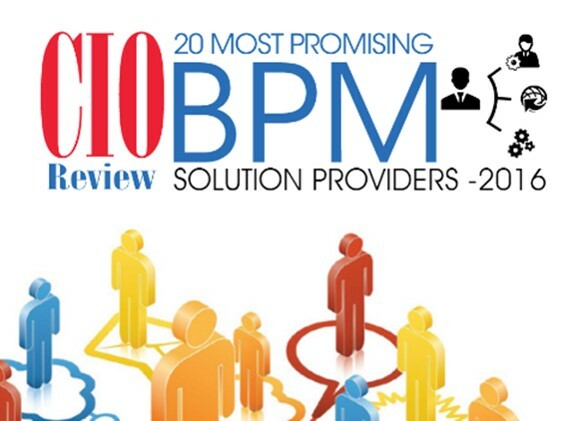 Released on Wednesday March 30, 2016 was the latest edition of CIOReview Magazine which features the 20 Most Promising BPM Solution Providers for 2016. A distinguished panel of CEOs, CIOs, analytics, and the CIOReview editorial board made this selection and produced an article for their publication that looked into how these solutions alleviate the challenges pertaining to operation management and how solution providers help clients stay a step ahead of the competition. We are honored to be selected as one of the top players from the competitive field of BPM Solutions providers. CIOReview notes that business processes are at the heart of what makes or breaks a business. They concluded that First Preston HT sets itself apart from the competition by realizing the need for optimized process automation and operational intelligence solutions such as Business Process Management (BPM), which allows clients to deliver accelerated business growth through multi-model customer engagement and effective delivery of unique customer demands. First Preston HT provides technology-based solutions and services that enable online real-time exchange of information and automation of business processes. The largest segment of the population with purchasing power is now Millennials, and frankly today’s real estate market is not like their parents market. According to the 15 Economic Facts about Millennials published in October of 2014, Millennials [those born between 1980 and the mid-2000s] are the generation that will shape our economy for decades to come. Being the most diverse and educated generation to date, it is no wonder that they have become the overwhelming target of real estate marketing in most areas. With increased success and opportunities it is somewhat surprising that Millennials are less likely to be homeowners in comparison to those their age in generations before. Due to the recession, repayment of student loans, and the broader acceptance of children living with their parents well into their late twenties and early thirties, most Millennials are putting off the purchase a home until later in life. According to an August press release from Zillow, Americans are renting for an average of six years before buying a first home, spending more for that new home, they are older and more likely to be single. The chart from Zillow’s press release below shows the changes in first time home buyers over the past 30 years. The price to income ratio gap continues to grow and saving for a necessary down payment will become more difficult as the cost of living outpaces wages and the increasing unattainable rental market surges due to demand. On the flip side an article published by HousingWire in July on why you can’t blame Millennials for low homeownership rates – stop the blame game, noted a study of generational trends by the National Association of Realtors. Their research shows some different numbers as well as greater preparation and more research than previous generations. While Millennials are not forming the traditional households, they are still purchasing and doing so in a more diverse buying pattern. Regardless of how you interpret the multiple studies, statistics, and analyzed data that is out there, owning a home is still the American Dream! To learn more about the innovative products and services offered at First Preston HT, visit us at First Preston HT | Like us on Facebook | Follow us on Twitter.